Mike Dooley, in his excellent book Manifesting Change, writes about an analogy for achieving goals and objectives. 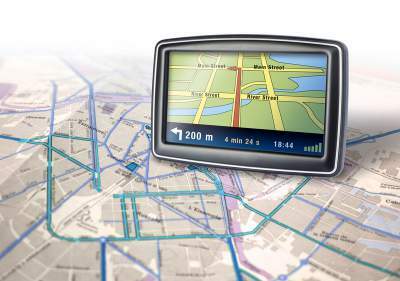 As he points out, when you’re using a GPS Satellite Navigation system to obtain driving directions, the first thing you do is feed into the machine the destination where you want to end up. In a fraction of a second, the system will calculate how you get from your starting point to your finishing point, and in doing so, it will have considered every possible route, and come up with the quickest, easiest, and simplest way for you to get your destination. It’s a fantastic analogy of how the universe works when you’re giving it an end result. You don’t need to know how the program calculates the journey from A to B; all you need to know is how to drive the car. As soon as you start out on your journey, the instructions will automatically guide you to your destination. Is manifestation like a giant GPS system? And note with a GPS satellite navigation system you don’t even have to feed your starting point into the system. You only have to provide your destination – yet the system can still get you there, and again it will consider every possible route for you to take before selecting the one that is going to allow you to reach your destination. Goal setting is very similar to this, because the first thing you have to decide is where you want to get to – or rather, what you’d like your end result to be. You’ll see the importance of this very clearly, I hope: you can’t possibly hope to get a desired outcome unless you’ve made it very clear what that outcome is, both to yourself and the universe! 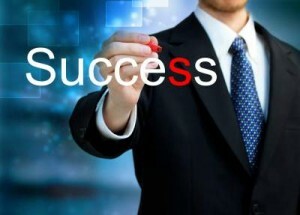 Your desired outcome must be both clear and accurate. Again, to return to the analogy of the GPS, if you make a mistake of only one character when you’re entering in your destination ZIP code or postal code, you can end up in completely the wrong location. Similarly, our universal Law Of Attraction requires clear instructions to work well for you. For manifesting anything, therefore, your starting point is clarity about what it is you want. And furthermore, there is something really significant about this for your personal development. In Shadow Work, we talk a lot about Sovereign Energy. This is the energy of the leader in your life, which you can think of as the part of you which manages your life, chooses which direction to take, chooses how to get there, and controls and governs your “realm” or “kingdom”. Some of the qualities of the sovereign, be it King or Queen, are discernment, good judgement, wisdom, clarity of purpose, generosity of spirit, and a general tendency to act for the benefit of everybody in your world. 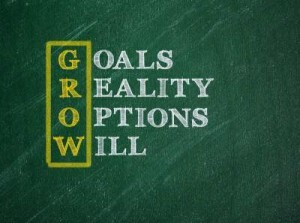 No doubt you can see that goal setting is something that the King or Queen in you takes care of. After all, your internal King or Queen is in charge of running your life. So manifesting reality is the work of this sovereign part of you: and as you can imagine, the qualities of a good sovereign are the qualities that you need to be successful at manifesting your reality. Of course the importance of having sovereign qualities at work when you’re trying to manifest anything is most clearly seen when you are able to honor (i.e. appreciate and accept whole-heartedly) your own wishes and desires. That honoring most clearly comes in the form of believing you can manifest what you want. And it’s also seen in the quality of acceptance: that is to say, in your own acceptance that it’s right and proper for you to know what your dreams and wishes for the future are, and right and proper that you can achieve them, whether they be material, spiritual, or emotional. Other people have spoken of the importance of having a sense of purpose in different ways: for example, some people speak of having “a reason to get out of bed in the morning”, or “knowing what you’re on the planet to do”, or “fulfilling your sacred contract”. But it doesn’t matter how you see this. Because knowing what you want in life, and going for it, are intrinsically rewarding to the human mind. One of the problems we face in our society is that many of us are brought up not to be “selfish”. We are taught that getting what we want is somehow wrong, or that we should focus more on other people than ourselves. In some cases, of course, people don’t even know what they want because they’ve been so effectively taught not to take any notice of their own wishes or desires. The truth of the matter couldn’t be more different: knowing what you want, and then being able to manifest it, is actually both a gift to yourself and a gift to the world. The gift to you is that when you are achieving your own goals and objectives, your self-esteem goes up, and you become a more effective sovereign in your own life. And once you become a more effective sovereign in your own life, your leadership and wisdom begin to impact on the world at large. Over time, you may find that your desires and objectives become “transpersonal” – in other words, that you begin to set goals and objectives which not only fulfill you, but which clearly work for the benefit of humanity as a whole. This transpersonal move into manifesting stuff – not only for your own benefit but for the benefit of the world – is what enables people like Bill Gates, Bono, Bob Geldof, Hillary Clinton, Richard Branson, and many other philanthropists who are not publicly recognized, to shine a bright light into dark places in the world and to work positively for the good. And nothing is more satisfying to the human spirit and when you’re fulfilling a purpose that you believe to be part of the bigger picture of how the universe is operating.